BEIJING, July 2 (Xinhua) -- President Xi Jinping Monday told young Chinese to dare to dream, and work courageously and diligently to realize their dreams. 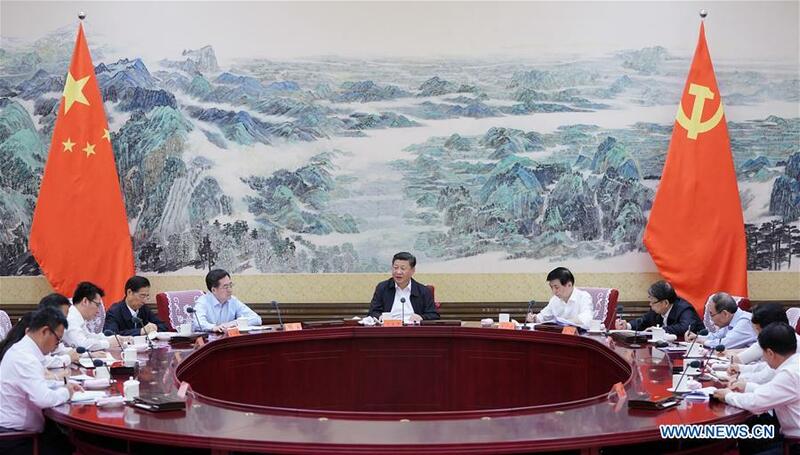 Xi, also general secretary of the Communist Party of China (CPC) Central Committee and chairman of the Central Military Commission, made the remarks during a talk with the new leadership of the Communist Youth League of China (CYLC) Central Committee. "A country will have a great tomorrow, and a nation will be full of hopes, when the younger generations have ideals, ability and a strong sense of responsibility," Xi said. "Representing the youth, winning the support of the youth and counting on the youth has been a crucial guarantee for the Party's advance from one victory to another. "The Chinese dream of national rejuvenation will be realized ultimately through the endeavors of young people, generation by generation." He said that the 18th national congress of the CYLC, which concluded a few days ago, implemented the instructions of the CPC Central Committee, and went through the agenda of the congress, including summarizing the work of the CYLC over the past five years and laying out its development plan for the next five years. On behalf of the CPC Central Committee, Xi extended his congratulations on the success of the congress and the newly elected leadership of the CYLC Central Committee. "Since the 18th CPC National Congress, based on the overall development of the causes of the Party and the country, the CPC Central Committee has attached great significance to and vigorously pushed forward its youth work," Xi said. "It released the first ever youth development plan of the People's Republic of China, arranged for the reform of the CYLC, and has made historic achievements in youth work. "The CYLC is regarded as an aide to and reserve force of the Party, reflecting the deep trust and high expectation placed on it by the Party." Xi stressed that the CYLC must focus on three fundamental issues: nurturing socialist cause builders and successors; consolidating and expanding the basis of the Party's governance among the young people; and focusing on the central task and serving the overall interests of the country. He called for strengthened political guidance for the youth and noted that the CYLC should always follow the Party. Xi called for strict governance of the CYLC, urging it to take political building as the overarching principle to strengthen Party building within the CYLC. The CYLC should have full confidence in the path, theory, system, and culture of socialism with Chinese characteristics, and uphold the authority of the CPC Central Committee and its centralized, unified leadership, Xi said. Xi asked for strict management of CYLC officials, saying they should be "politically and theoretically strong, highly competent, have a strong sense of responsibility and self-discipline and be loyal to the Party." "Youth work is of critical importance to the future of the Party and the country," Xi said. "Party committees at all levels must care about young people and create favorable conditions for their growth." Wang Huning, member of the Standing Committee of the Political Bureau of the CPC Central Committee, also attended the event.